Market watchers said South Korea's pessimistic employment and investment figures may indicate that the country will continue to post an annual growth below 3 percent for the time being. The country's economy expanded 3.1 percent on-year in 2017. For 2019, the International Monetary Fund suggested an on-year growth of 2.6 percent for the South Korean economy, while Deutsche Bank even predicted a 2.3 percent growth for the country. Market watchers attributed the weak outlook for the national economy to the increasing number of jobseekers. According to Statistics Korea, the number of employed South Koreans increased 100,000 monthly over the January-September period. In order to meet the government's initial target of 180,000, the figure must increase by 420,000 monthly over the October-December period. The number of the unemployed, in contrast, soared 51,000 on-year to reach 1.11 million in the January-September period. It marked the highest figure since 1999, when the country was still reeling from the aftermath of the 1997 Asian financial crisis. Along with the disappointing jobs data, South Korea's construction investment fell 6.4 percent on-quarter in the July-September period. It marked the lowest drop since the 6.5 percent decrease posted in the second quarter of 1998. Local companies' facility investment slipped 4.7 percent in the third quarter from the earlier three-month period. South Korea is facing potential hurdles in terms of exports as well. The escalating tension between the United States and China over trade coupled with the increasing global prices of oil stand as some of the challenges for the national economy. The country's exports of memory chips is especially worrisome as they are expected to grow at a slower pace in the fourth quarter due to falling prices of DRAM and NAND flash chips, industry watchers said. Chips accounted for nearly 25 percent of the country's exports in September this year. Such factors, meanwhile, are having an adverse impact on the stock market as well. The benchmark Korea Composite Stock Price Index closed at 2,027.15 on Friday, down 13 percent from the first trading session of the month. It marked the sharpest decrease since 23 percent posted in October 2008. "The companies are cutting investment and posting weaker earnings. 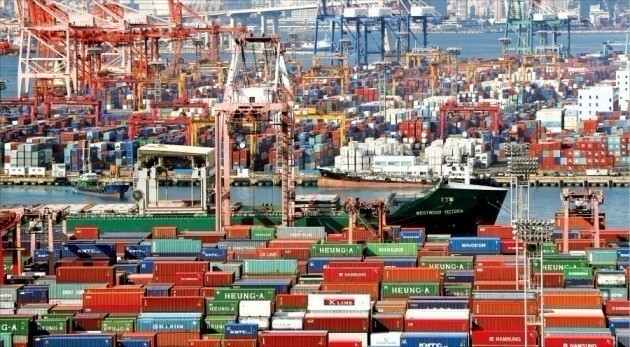 The slowing exports and the bearish stock market are reminiscent of the market during the 1997 Asian financial crisis," said Joo Won, a researcher at Hyundai Research Institute. "It is worrisome that the investment in the construction segment fell sharply. The employment will become even worse, adversely impacting consumption as well," Joo added.